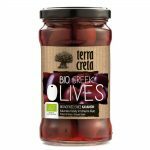 315 ml (Terra Creta Olive Oil Bio Green) – Terra Creta has searched all mainland Greece to find the best, most delicious, naturally fermented olives. 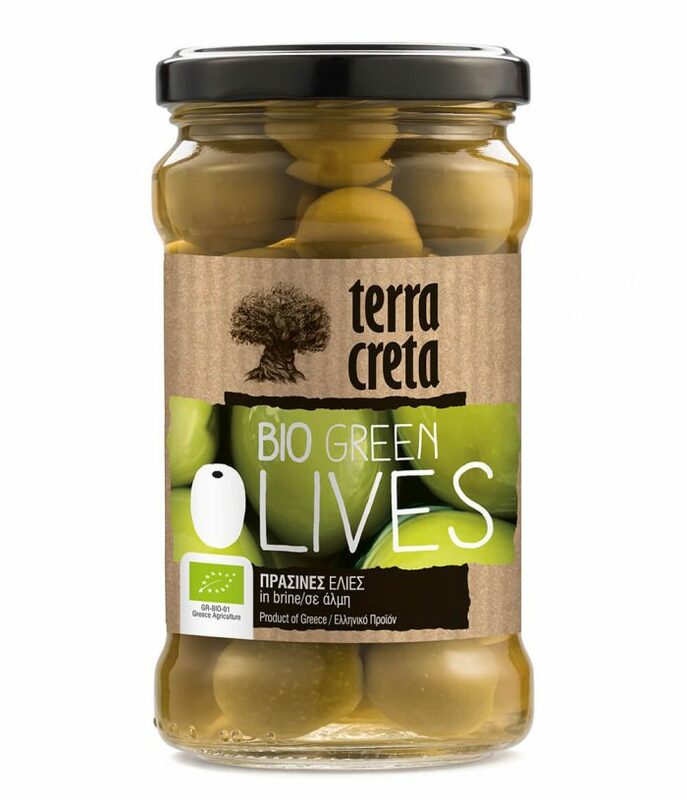 Terra Creta offers Green and Kalamata olives from selected areas of Northern and Southern Greece. 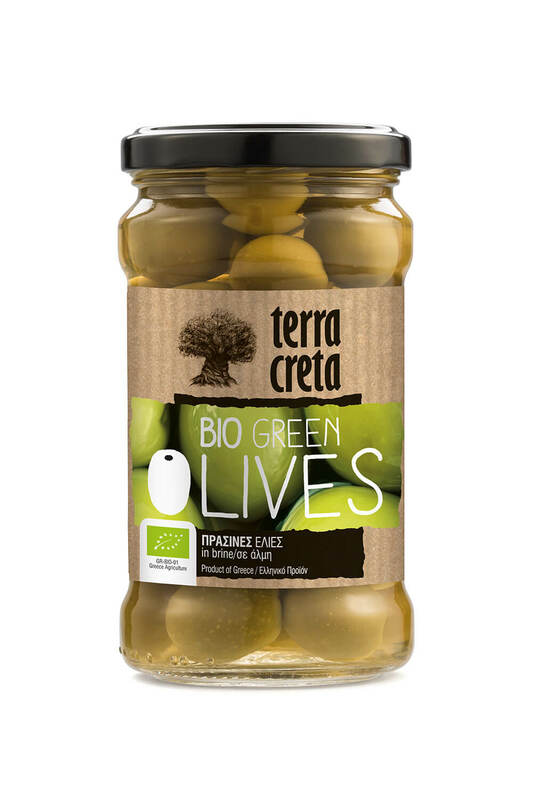 Green “Chalkidiki” olives are grown in the region of northern Greece. The deep blue of the Aegean sea, the bright sun and the fertile greek land created these impressive and tasty table olives.